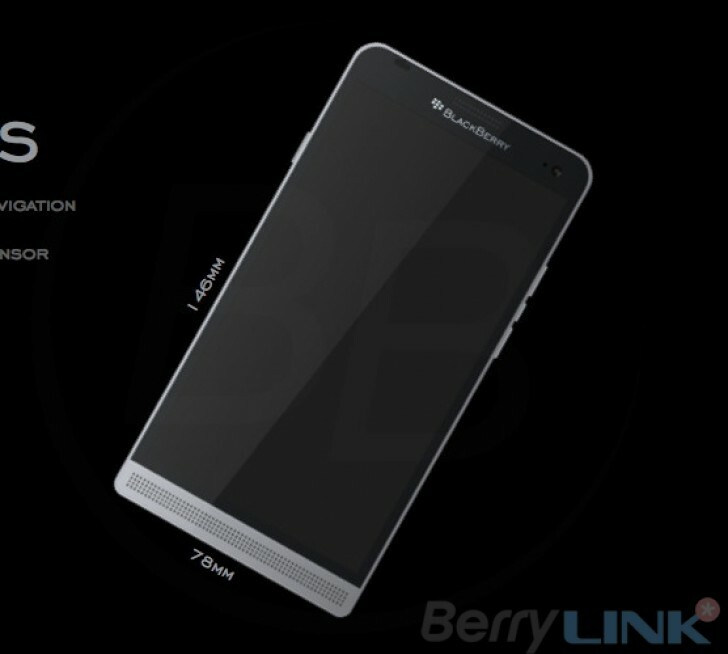 BlackBerry's next two Android-running smartphones have been portrayed by a few leaked images today. The handsets are apparently codenamed Hamburg and Rome, respectively, following the Canadian company's long-standing tradition of using cities for its devices' codenames. The Hamburg either doesn't have a physical keyboard at all, or it could be a slider like the already launched Priv. The two leaked images depicting it don't shine any light on that aspect, unfortunately. Still, we do get to see its entire front fascia, as well as two of its dimensions. It will be 146mm long and 78mm wide, as you can see. 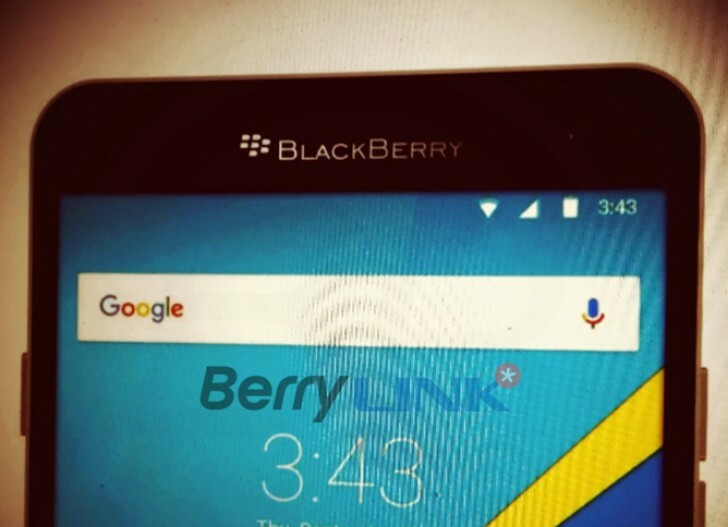 The second image (seen below) shows us the new BlackBerry logo in a close-up shot. The Hamburg seems to be made from metal, and it features a speaker grille underneath the screen. The power button is on the left side, while the other buttons are on the right. The Hamburg should reportedly become available in the second half of the year for around $400. So it's going to be a mid-ranger. Next up we have the Rome, which clearly has a physical keyboard. It's placed under the screen, but this isn't a slider, instead emulating the form factor of the Passport somewhat. The same new logo is present here too. Unfortunately no specs have been leaked alongside these images, and for the Rome there isn't even a rumored release time frame to speak of (or any word on pricing). So we'll have to wait for some new leaks to get that information. 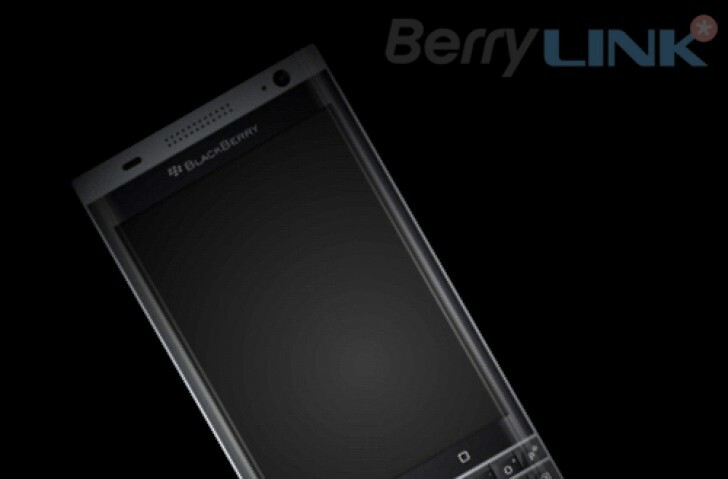 why did u miss the blackberry os? ?make ur own BB.plz.u can without android.